Predicting the Boston Marathon is a great way to make yourself look stupid. In 2014, we determined that the chances of an American man winning Boston were somewhere between 1 in 27 and 1 in 19,813. Then Meb Keflezighi made us look stupid by winning the whole damn thing. Last year, we spent almost 5,000 words previewing the men’s race in Boston. None of them were devoted to the man who actually won it, Japan’s Yuki Kawauchi. But being wrong has never stopped us before! So once again, we’re here to offer your guide to the Boston Marathon field. Even if we can’t tell you who is going to win, we can still give you stuff to say in front of your friends to make you sound smart while you watch the race. But before we get into the nitty-gritty, a word of caution: if the weather is hypothermia-inducing bad again, you might as well throw all this stuff out the window. Even if we had known exactly how bad the weather was going to be last year, there’s no way to have predicted someone like Sarah Sellers finishing second in the women’s race ahead of time. And we don’t want to alarm you, but right now the weather forecast for Monday looks awful. “The questions revolve around the formation, track and strength of a storm system that is forecast to approach our area by late Sunday night. Snow! Lovely day for a marathon. Can things change in a week? Of course. But as it stands, it looks like miserable weather for marathoning, even if it still seems hard to imagine that it could be as bad as last year — generationally awful conditions that produced winning times since the 1970s. We’ll be keeping an eye on the weather this week, but we’ll hold off on any freakouts until Friday at the earliest, when we’ll have a more accurate picture. Lemi Berhanu Ethiopia 2:04:33 (Dubai, 2016) ’16 champ DNF’d last year but rebounded to win Hengshui in Sep.
Felix Kandie Kenya 2:06:03 (Seoul, 2017) DNF last year, then 3rd in Toronto in Oct.
Usually when we preview a major marathon, we like to rely on one stat to guide us: since 2013, 98% (39/40) of the men’s champions at World Marathon Majors have entered the race with either a global medal or a sub-2:08 PR. That stat isn’t quite as helpful at Boston, considering: 1) The one guy who didn’t fit that criteria — and still doesn’t — is the defending champion, Yuki Kawauchi; 2) There are 15 guys entered in Boston who have broken 2:08. That’s a lot of potential winners. 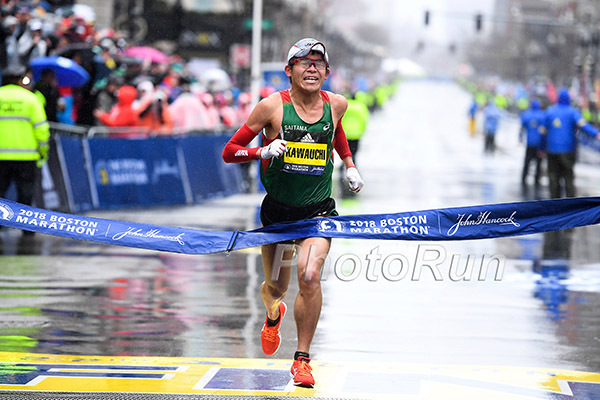 Fortunately, we’ve done the research and have sorted through all 15 of those guys — plus Kawauchi — and have ranked them, 16 through 1, from least to most likely to win Boston (Editor’s note: A separate look at the full American elite field will come later in the week). We’ve broken them down into five categories of potential winners: Basically No Shot (#14-17), Outside Shots (#9-13), The Wild Card(#8), Genuine Contenders (#4-7) and Three Total Studs (#3-2-1). Korir won Boston on a hot day in 2012, but he’s 36 now and has done virtually nothing in the marathon since he was 4th in Boston three years ago. He finished 17th in 2017 in 2:18:14, then finished 7th in the Beirut Marathon in November 2018, running 2:14:18. The 7th-placer in the Beirut Marathon doesn’t win Boston. Ritz is 36 and hasn’t finished a marathon in four years. Even in his marathon prime, his best finish in a major was 5th in Chicago in 2013. The idea that he will win Boston now off a scaled-down buildup is crazy. Ritz is about 20 times as likely to DNS/DNF than he is to win on Monday (and that may be understating it). Under normal conditions, there is no way Kawauchi is repeating in Boston, even if, as of last week, he is now a full-time professional runner. Quite frankly, under normal conditions we don’t think he has the talent to win a major. But the closer the weather resembles that of last year’s race, the more his chances grow. If we get to Sunday and the forecast is similar to last year — low-40s, driving rain and wind — Kawauchi vaults way up this chart. No one can suffer more than the Emperor of Pain. 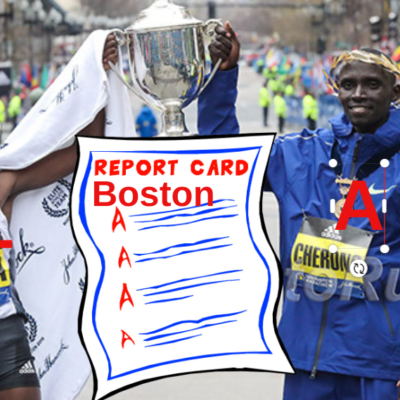 That being said, if the weather ended up being horrific like it was last year, we imagine someone like last year’s runner-up Geoffrey Kirui would run more cautiously and not blast the Newton Hills, saving something for the finish. If there are no adverse weather conditions, we’d move him down a spot behind Ritz. Rono won Toronto in 2016 and 2017 but was forced to drop out of Boston last year and could only manage 9th in Toronto in the fall. With 10 marathon starts and only one finish below 2:07, he doesn’t seem to be good enough to win a major. Talam has won the Eindhoven Marathon twice and was 4th in Rotterdam in 2017. But he could only manage 5th in Honolulu in 2017 and 8th in his WMM debut in New York last year, and those two courses have a lot more in common with Boston than the pancake-flat Dutch marathons in which he has found success. 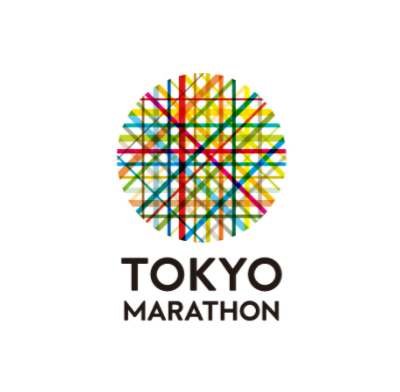 Only one Japanese man (Kawauchi) has won a World Marathon Major, and Inoue, 26th at Worlds in 2017, is, at best, Japan’s third-best marathoner right now (behind Suguru Osako and Yuta Shitara). That said, he ran 2:06 last year in Tokyo and defeated Bahrain’s El Hassan El Abbassi (who ran 2:04 last fall) to win the 2018 Asian Games title. A Japanese man has finished in the top three in Boston in each of the last two years; could Inoue extend the streak? He beat Kandie to win Toronto last year, but his PR is just 2:07:11, and just 8% of major winners since 2013 have entered the race with a PR of 2:07 or slower. Ghebreslassie has the skillset to succeed in Boston, as he has wins at Worlds (2015) and New York (2016) to go with a 4th-place finish at the 2016 Olympics. But he’s also struggled mightily since that 2016 NYC win. His four results since then? 6th, DNF, DNF, DNF. 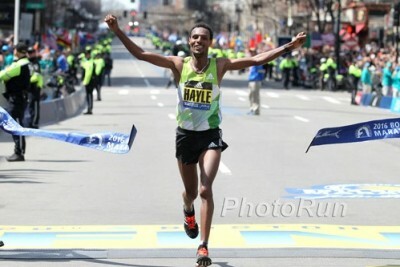 So what Ghebreslassie should we expect on the start line in Hopkinton? Even his agent, Jos Hermens, isn’t sure. Hermens says that Ghebreslassie, still only 23 years old, is a “very good kid” but that his sudden elevation to marathon stardom and its accompanying riches — he earned $125,000 in prize money alone for his NYC win — has contributed to a “lack of focus” that made it difficult to continue training at his high level from 2015-16. Ghebreslassie spent a month of his Boston buildup training in Ethiopia, which may have ameliorated the problem, but we won’t know for sure until race day. Ghebreslassie is a high-risk, high-reward proposition. Kipkemoi ran 2:05 in both of his marathons last year, clocking 2:05:44 to win Rotterdam in April and 2:05:57 to finish 4th in Chicago in October. That was a big (and surprising) breakthrough for a 34-year-old who had never broken 2:09 prior to last year. Berhanu has DNF’d Boston the last two years after winning in 2016, but last year’s performance can be excused given the massive amount of elites who failed to finish. Other than that, he’s remained an elite marathoner, taking 4th in New York in 2017 and winning the Hengshui Marathon in China last fall in 2:08:51. If that doesn’t sound impressive, consider that the runner-up in that race, Herpasa Negasa, just ran 2:03:40 in Dubai in January. When evaluating a marathoner’s prospects, we love to see wins and PRs, and Deksisa had both last year, racking up W’s in Mumbai (2:09:34 in Jan) and Hamburg (2:06:34 in April) before clocking a big PR of 2:04:40 (in Oct) to finish 3rd in Amsterdam (29 seconds under the previous course record). A very strong season to be sure and he’s been in the top 3 in four of his 5 career marathons that he’s finished, though he bombed in his first (and so far, only) WMM appearance in Tokyo two years ago (12th in 2:09:31), which gives us a little reason for pause. Lemma, the 19th fastest man in history, had quite a year in 2018. He began by running a big PR of 2:04:08 in Dubai — which would have broken the course record had the four guys in front of him in that race not also broken it as well. Less than four months later, he was back in action, finishing second in Prague, 55 seconds behind Galen Rupp. He closed out the year by running 2:04:58 to win the Ljubljana Marathon in Slovenia, becoming just one of three men to break 2:05 twice last year. That’s a sterling resume; the only concern is that in his last appearance in Boston, in 2017, he dropped out. He needs to prove he can tame this course. That’s five marathon wins (including four course records) in the last three years, with those CRs coming in marathons (Amsterdam, Honolulu) that have traditionally served as proving grounds for future major champs. His 2:04:06 from Amsterdam last year made him the fourth-fastest marathoner of 2018 and the fastest time that wasn’t run by Eliud Kipchoge or in Dubai. It also makes him the fastest guy in this year’s Boston Marathon field and put him in a three-way tie for 16th-fastest man in history. The only blemish on his recent resume is that 7th place in London last year, but that was Cherono’s WMM debut, and it came in a race on a warm day where he went out with the leaders on near-WR pace (he went 61:34/67:51 to run 2:09:25). Boston won’t go out nearly as fast. If he can handle the weather and the hilly course, he’s a serious contender FTW. In fact, if this was a flat course or if he’d ever run in Boston in the past, we’d move him up to #2 on our list, but our #2 pick (see below) has proven on multiple occasions he does well in Boston. 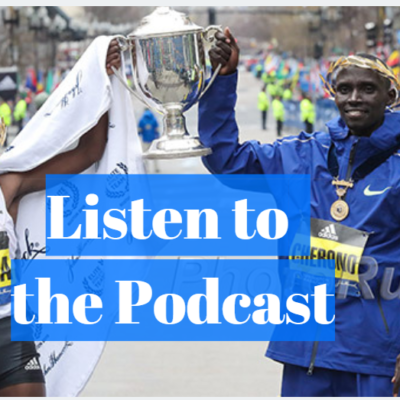 It’s easy to forget, in the light of everything that’s transpired over the past 12 months, but with less than five miles to go in the 2018 Boston Marathon, we were close to talking about Geoffrey Kirui in Kipchoge-like terms. It’s that last point that bears closer examination. In a race in which nearly all of the East Africans wilted in the conditions, Kirui appeared impervious for most of it. Running a jacket that billowed in the wind like a ship’s sail, Kirui made a huge move up the Newton Hills during mile 18 and opened up a 91-second lead at 35k (21.75 miles). It was breathtaking to watch in the moment. He is wrecking this field. This guy is so good that the weather doesn’t even matter. Of course, it did matter — Kirui’s lead shrank to 20 seconds by 40k, and he ran his last mile in 7:18 as Kawauchi steamed by him to win by 2:25 with Kirui finishing second in 2:18:23. 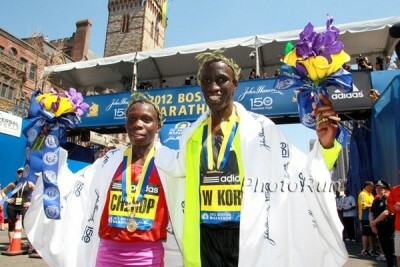 But the fact that Kirui was the only pre-race favorite who actually came close to delivering that day won him respect. It also bodes well for his chances this year. He almost made it home as the champion in disastrous conditions last year, and he’ll have learned from that experience. Should we get a repeat of last year’s weather, he’s one of the guys best equipped to handle it. 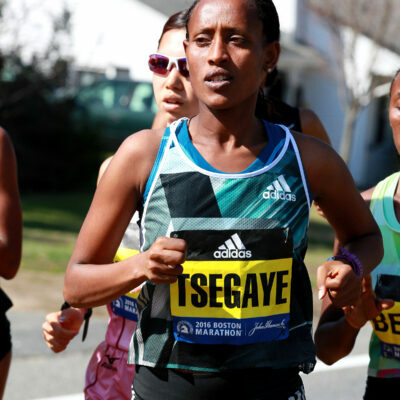 Desisa has been one of the most successful marathoners of the 2010s. Of the 11 marathons he’s finished since debuting in 2013, (all of them either majors or Dubai), he’s won four, finished second in three, and third in two more. That’s 10 top-3 finishes in 11 attempts. It’s not quite a Kipchoge-level of consistency (Desisa also has three DNFs sprinkled in), but if Desisa is on his game, he’s very tough to beat. The latest evidence came in New York in November, where Desisa ripped a 2:05:59 — just the second 2:05 ever in New York — to take down Shura Kitata (London runner-up, and our World #2 last year behind Kipchoge) and defending champion Geoffrey Kamworor. Of course, the weather that day was nearly perfect for distance running, and Boston 2019 will be anything but. And while Desisa was one of the casualties of the extreme weather last year, if it is merely bad on Monday and not historically awful, he should be okay. After all, he’s won Boston twice already, and one of those years (2015) featured temperatures in the 40s, rain, and headwinds of up to 20 mph. It doesn’t mean he’ll win on Marathon Monday. But we think Lelisa Desisa has the best shot at crossing the finish line first. Who will win the 2019 Boston Marathon? What about the rest of the Americans? We’ll have a separate preview on the Americans’ chances later this week, and while there are several quality guys in this race, the only way one of them wins is a 2018-like weather apocalypse. Yes, Shadrack Biwott (4th and 3rd in Boston the last two years) had run very well in Boston in the past, and Jared Ward was 6th in NYC last year and in the 2016 Olympics. Scott Fauble was only four seconds behind Ward at NYC last year. But we’re not talking about guys who could finish in the top 5 on their best day (which all of these guys can); we’re talking about guys who can win. And the fact is that almost every one of the sub-2:08 East Africans has a higher ceiling than the Americans; even if Biwott or Ward or Fauble completely knocks it out of the park, chances are good that at least one East African will run close enough to his potential to knock them off. 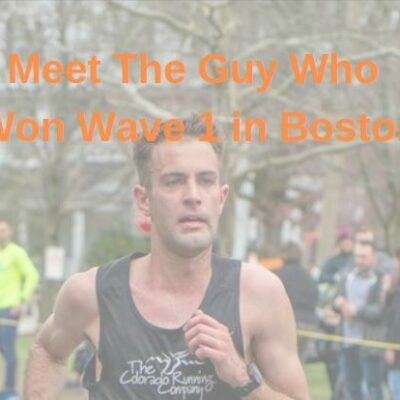 Biwott, Ward, and Fauble remind us a little bit of Jason Hartmann: even though he finished 4th in Boston in back-to-back years (2012 and 2013), he was never a serious contender to win the race. The Americans should be praying that the weather is as bad as possible on Monday. The worse the weather, the more East Africans are likely to drop out (Kirui and Stephen Sambu were the only ones who made it to the finish line last year).